The first round of smartphone design patent litigation between the tech giants isn't over yet —Samsung has moved to toss the most recent verdict. A federal court ruled in late May that Samsung owes Apple more than $533 million for infringing on iPhone patents, but that doesn't appear to be the end of the road for the long-running case. Samsung has filed a post-trial motion asking both to toss the verdict and to reimburse it $145 million. According to Law360, Samsung believes that the judge should grant it either summary judgment or a new trial. The 34-page motion also argued that the verdict was not supported by the evidence. In related matters, Samsung is also seeking a refund for $145 million it paid on another patent infringement case involving multi-touch screens and software implementations. The patent in question has been invalidated since. 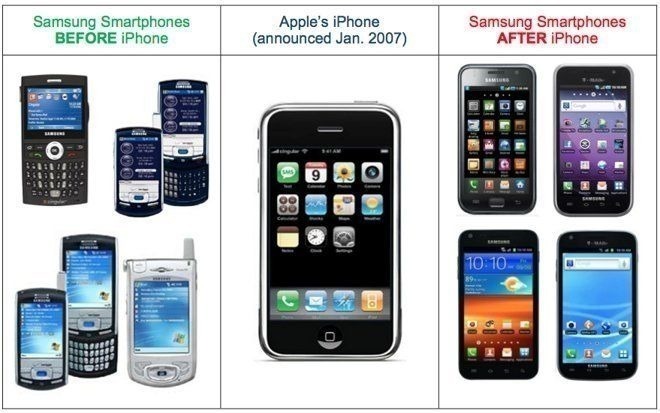 The most recent Apple/Samsung trial wrapped up May 24, when a jury ruled that Samsung owes Apple $533,316,606, for infringing iPhone design patents. That trial was the result of the U.S. Supreme Court ruling that kicked the case back down to a lower court for judgment of damages. The week-long trial, held before perennial Apple jurist Judge Lucy Koh, featured testimony from, among others, Apple marketing VP Greg Joswiak. Apple had sought $1 billion in the case. Apple has ten days to respond to Samsung's filing. A hearing on the matter is scheduled for July 26 in Judge Lucy Koh's courtroom.